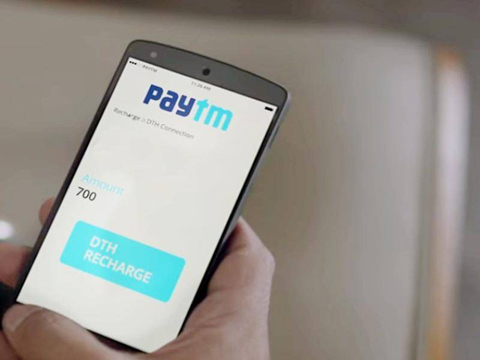 In yet another move towards strengthening its offline presence, Paytm, India's leading payments company, has partnered with Mother Dairy, a wholly-owned subsidiary of the National Dairy Development Board (NDDB). With this, consumers will now be able to make cashless payments through their Paytm wallets across 100+ Mother Dairy Milk Booths from this month. Paytm wallet has become a default mode of payment for customers for a wide variety of services in the country including taxi rides, food ordering and money transfers etc. The association with Mother Dairy will further help the digital wallet to cement its position as the preferred way to transact across offline and online platforms. In the first month itself, this service will be made available at 100 Mother Dairy milk booths in Delhi NCR & will be extended to all 750+ milk booths in another month. In subsequent phases, 350+ Safal outlets will also be able to accept payment through Paytm. “Paytm is focused on creating solutions for everyday payment use cases for Indians. Starting from the morning milk supply to all other everyday necessities, it is our mission to make everyday payments extremely simple. Working with mother dairy we would be able to bring a seamless payment experience to millions. We are very proud that mother dairy has taken a step towards consumer experience and we will be creating an incredible payment solution for their consumers,” said Vijay Shekhar Sharma, Founder & CEO – Paytm. “Being a consumer centric organisation, Mother Dairy has always been in tune with the evolving lifestyle of our consumers and has strived to offer solutions accordingly. In line with the same strategy, we are now partnering with Paytm to offer modern payment solutions at our retail network. This is in addition to our SmartChange Cards, which exist today. We believe with more and more smartphones being used, such initiatives will help the consumers greatly. This will also help our booth concessionaires in bringing down the physical cash handling,” said S. Nagarajan, Managing Director, Mother Dairy Fruit and Vegetable Pvt. Ltd.
Paytm is headquartered in New Delhi NCR. The company’s investors include Ant Financials (AliPay), Alibaba Group and SAIF Partners.